“Friends are more important than money.” “Sweat once a day.” “Breathe deeply.” Thanks to Lululemon, these are manifestos that many Vancouverites repeat religiously. For nearly two decades, those ubiquitous red reusable bags emblazoned with life maxims have been slung on the arms of dedicated locals. Vancouver is home to Lululemon, the athleisure pioneer with humble beginnings rooted on West 4th Avenue in Kitsilano. What started as a pursuit to create great fitness gear quickly turned into an unbreakable global community. 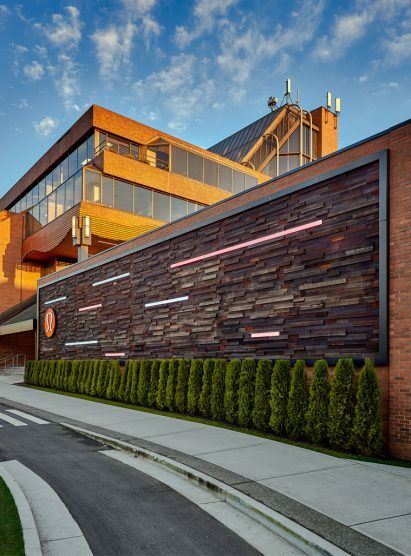 The city’s chase for athletic enlightenment gave the company the vision it needed to become a world-renowned lifestyle brand, and there’s no denying that, whether you like it or not, Vancouver and Lululemon go hand-in-hand. 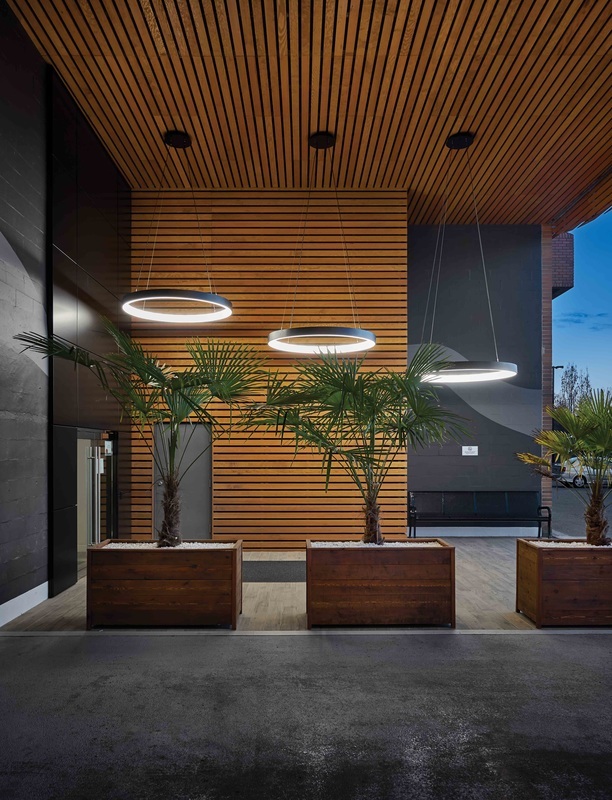 Located on Cornwall Avenue, Lululemon’s Vancouver headquarters—also known as the Store Support Centre, or SSC to employees—is unlike any other office space in the city. Since October 2010, the campus-like SCC has been the backbone of the company that was founded by Chip Wilson in 1998. It is where product, technology, and guest experiences come to life each day. 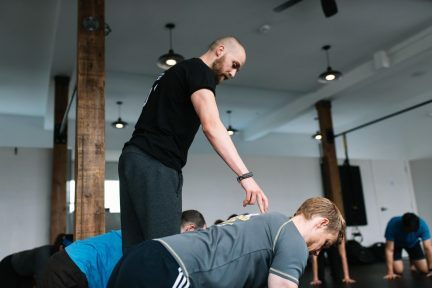 Although the goal of creating state-of-the-art athleticwear is a top priority in the office (and the other three located in the Vancouver area), the label also has a constant desire to build a strong community both within and outside its compound. 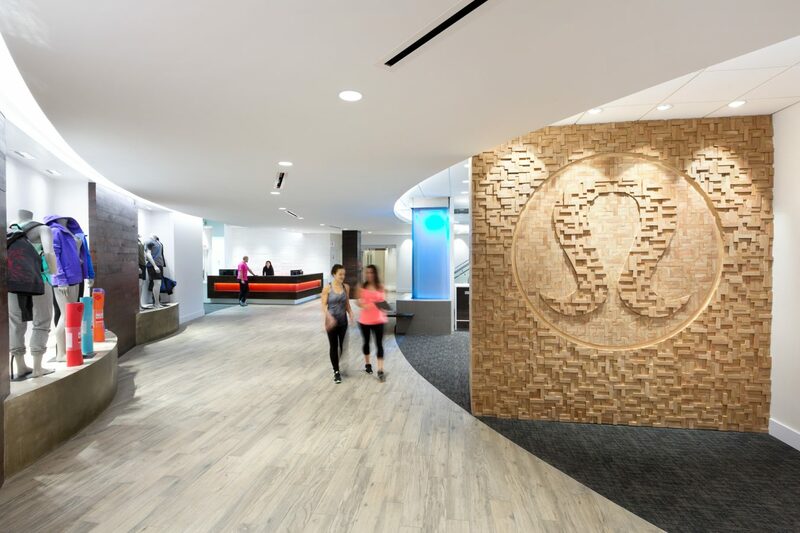 Lululemon was born from a love for sweating and smashing personal goals, so it is no surprise that its headquarters encourages that exact lifestyle. 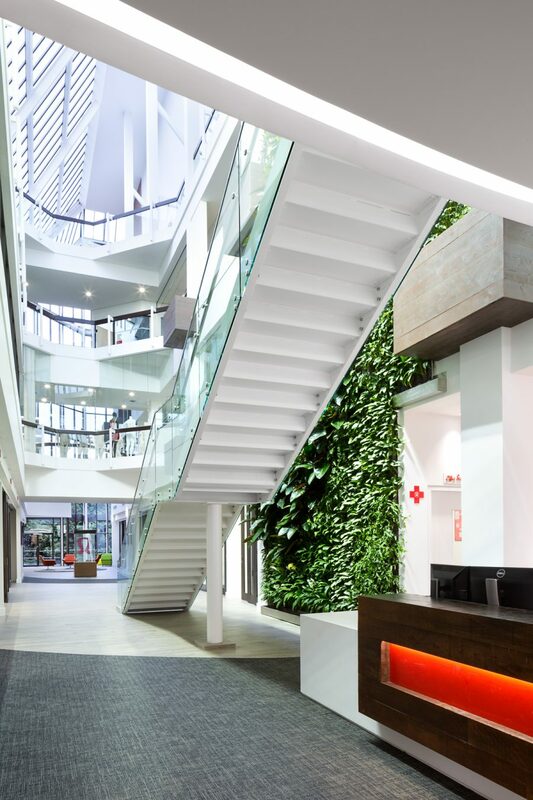 To simply put it, this is not the typical head office. 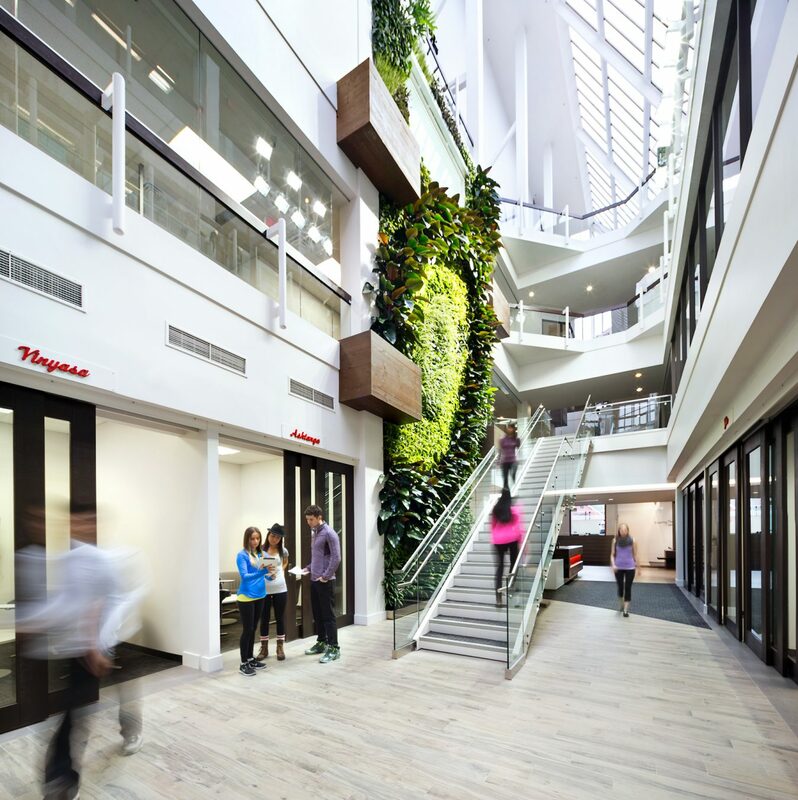 With natural light seeping through ceiling-high windows, Lululemon’s control centre, which has finally finished up renovations, bows to nature. 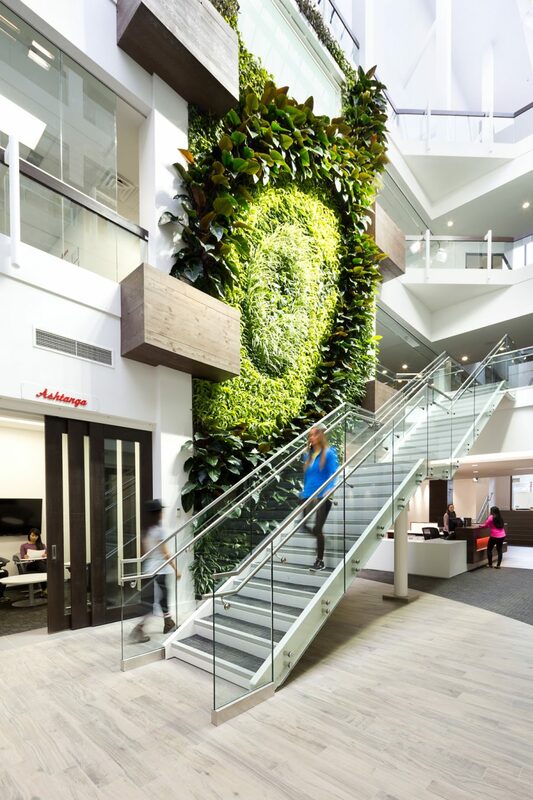 A stunning 553-square-foot urban greenery wall, featuring more than 2,500 individual plants of 19 different species and created by Vancouver-based botanical firm Living Green Walls, welcomes employees and guests. 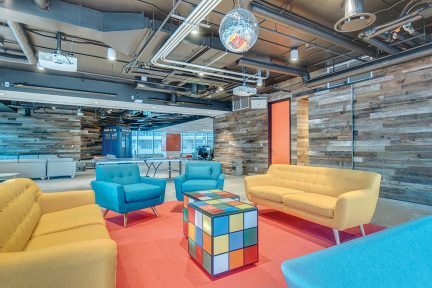 Spacious and modern work areas, equipped with floor pillows and chic ottomans, provide a relaxing alternative if staff need to step away from their desks for a while. At Lululemon, nine-to-five is done differently. Employees are encouraged to distance themselves from their work once a day to find mental clarity. 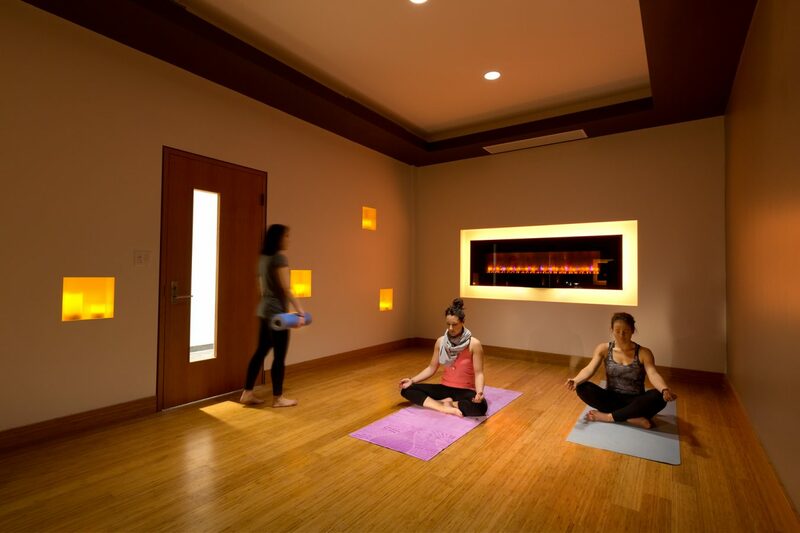 The Kitsilano space is equipped with a yoga room and meditation room, and daily fitness lessons are led by local store ambassadors at the in-house studios. Instead of sticking around the desk at lunch, Lemons (as they are called) break for boxing, Pilates, HIIT, and hip-hop dance classes. Post-workout, employees can clean up inside sleek locker rooms and grab a coffee or kombucha from the cafe. 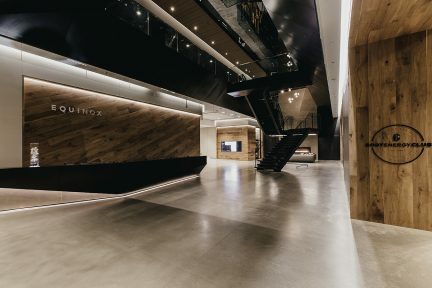 And, of course, Lululemon’s home is a mere two blocks from Kitsilano Beach—so on those summer days when the weather is too beautiful to simply stare at from a window, employees can grab a communal stand-up paddleboard and head down to the ocean to catch a few waves in between meetings. Beyond the office, Lululemon promotes a feel-good philosophy for all workers. Self-development is heavily focused on, with workshops emphasizing both professional and personal goal-setting. At Lululemon, whether you’re at your desk or on your feet, it’s all about living up to potential.